Chinese New Year is the most important festive celebration among the Chinese. Every year at this festival, the Chinese families will return home; be it near or far, they will fly or drive or take any kind of transport home and get together at the round table, for the Spring Reunion Feast; for the Spring Reunion “Tuan Yuan” (团圆). 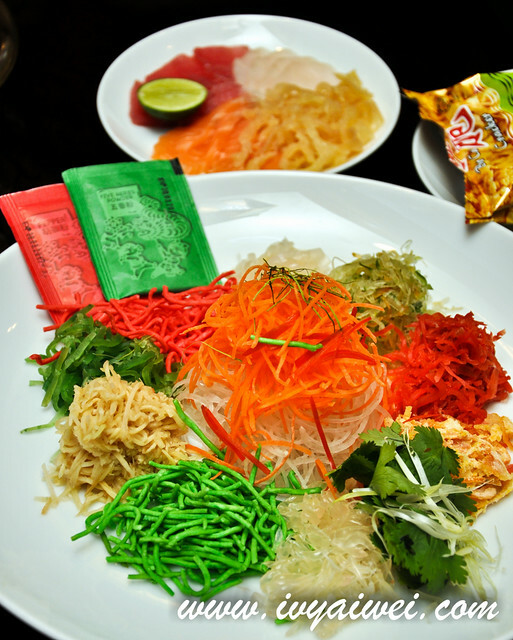 This festive season, Tai Zi Heen Chinese Restaurant at the Prince Hotel & Residence Kuala Lumpur came up with the Spring Reunion Feast to welcome the auspicious Year of Goat; offering the 9-course auspicious set menus and prosperity Yee Sang wholly crafted by Chef Michael Wong and him team that is meant for togetherness, happiness, prosperity and good health in the harmonious, prosperous and peaceful brand new year. Begins from 26 January to 5 March 2015. The food we sampled below is part of their signatures, available in their set menu as well as a la carte menu too. The must-have traditional dish on every table during this festival; symbolizing good luck, prosperity and everything good. 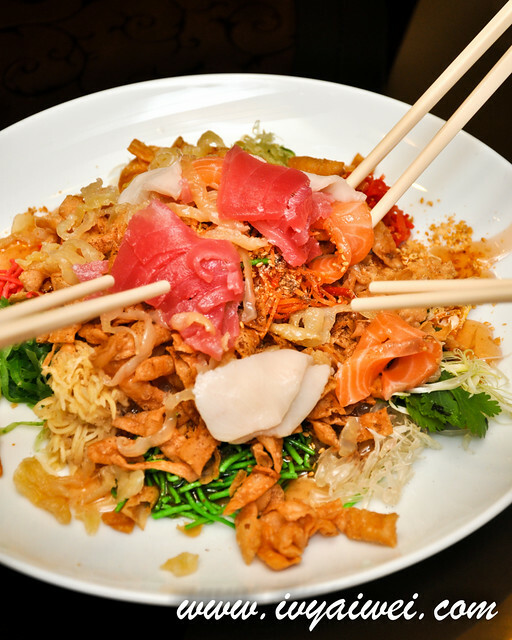 Tai Zi Heen’s version contains butterfish, salmon, tuna, jellyfish; resembling the four seasons. 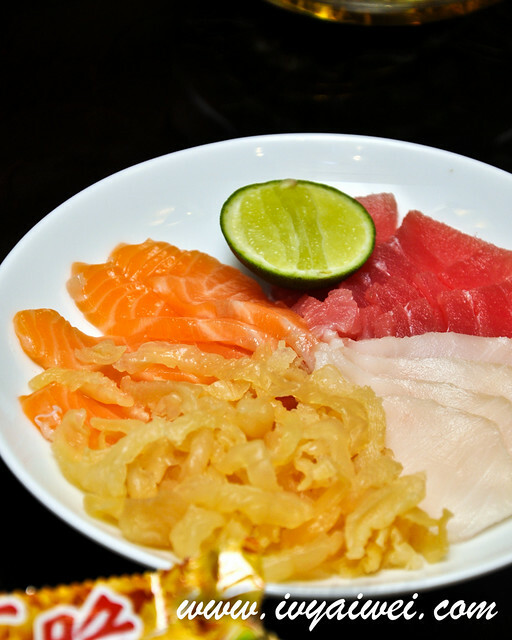 And of course, they do have Abalone, Hamachi, Canadian Surf Clam, Salmon or Snow Pear (vegetarian) as alternative options based on your preferences. Let’s toss to good fortune and remember to speak up everything good during the tossing, 捞生捞喜 !!! 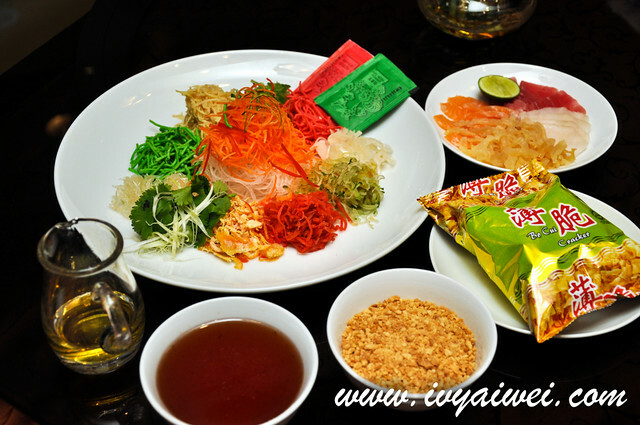 Take away options for all Yee Sang are available for your enjoyment with family and friends at home too. 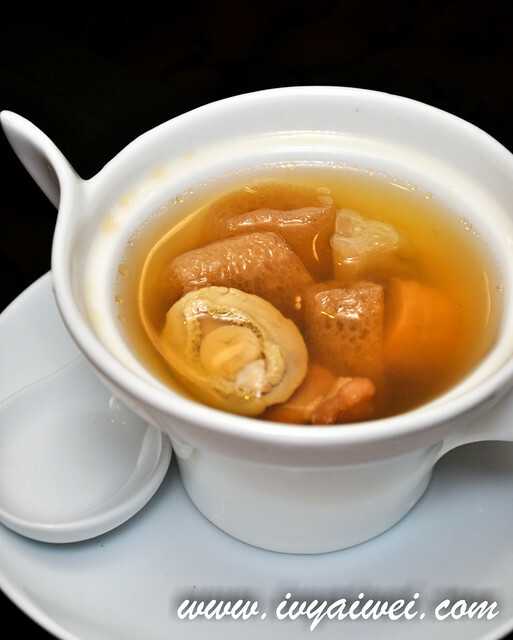 Such a clear and flavourful double-boiled soup with freshness of all ingredients remained in the soup! Love the dried oysters very much; finely selected oysters which were not totally dried, but half-dried. 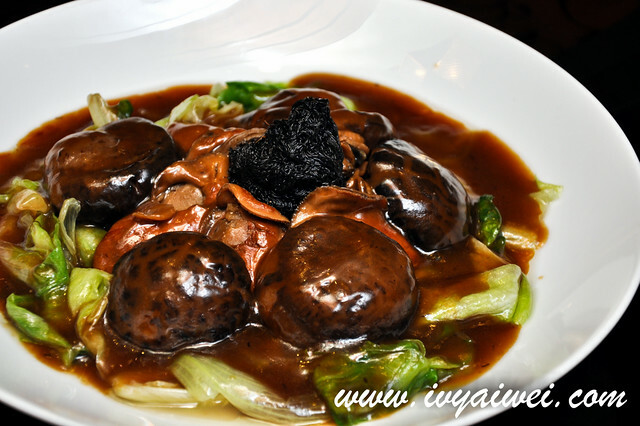 They were really juicy with essence of freshness locked within, levelled up the flavour of whole mushroom-oyster dish to another stage. Try it out and you will understand why. 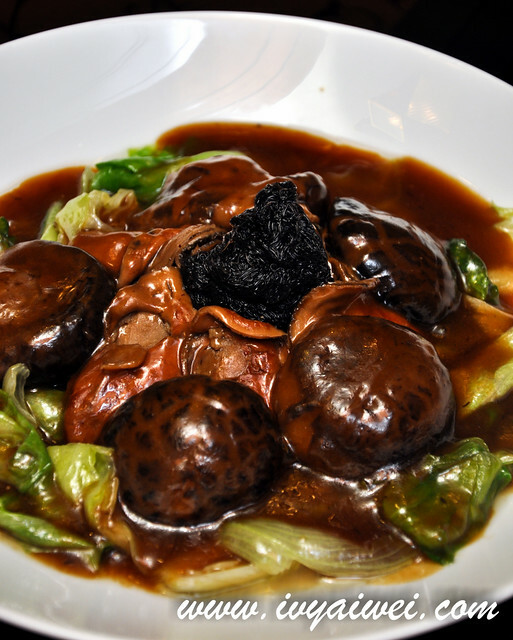 A fusion east meets west dish that surprised us and couldn’t believe this is in their CNY menu. 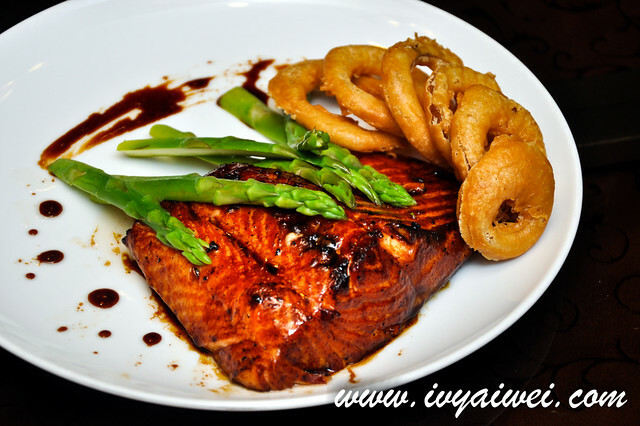 We love the coating of honey glazed on the salmon steak, using the method of grilling-BBQing the char siu till perfection. 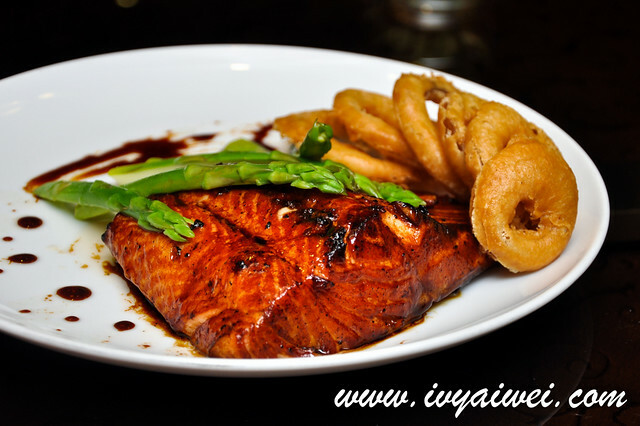 Each mouthful of the fish fillet was accompanied with natural omega-rich oil and the sweet taste of the glaze. 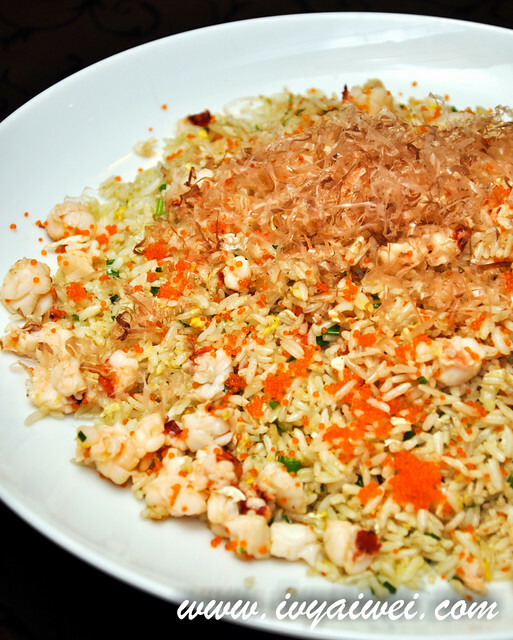 Fluffy fried rice tossed in and loaded with diced lobster, tobikko and topped with dancing bonito flakes. 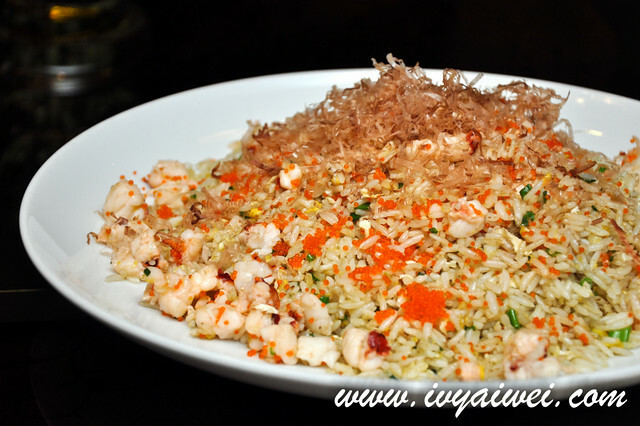 A very fancy and luxury version of fried rice. 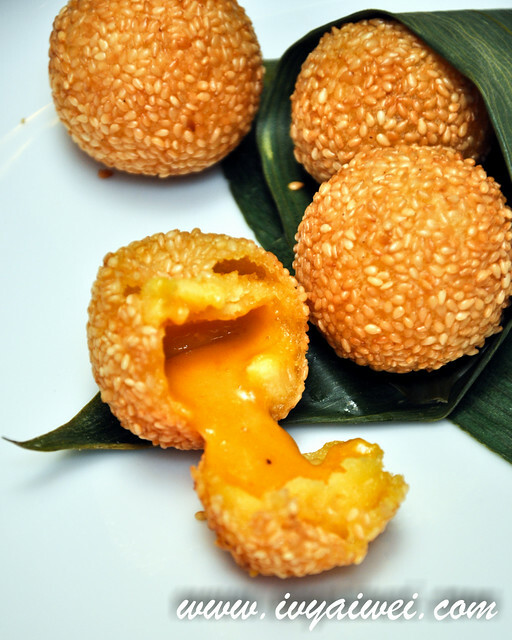 This version of sesame balls is only available in Tai Zi Heen, claimed Chef Michael Wong. Crispy skin encased with hot and runny salted egg yolk. One bite and you will madly fall in love with it if you are the salted egg yolk custard fan. Durian Mochi is another highlight too. 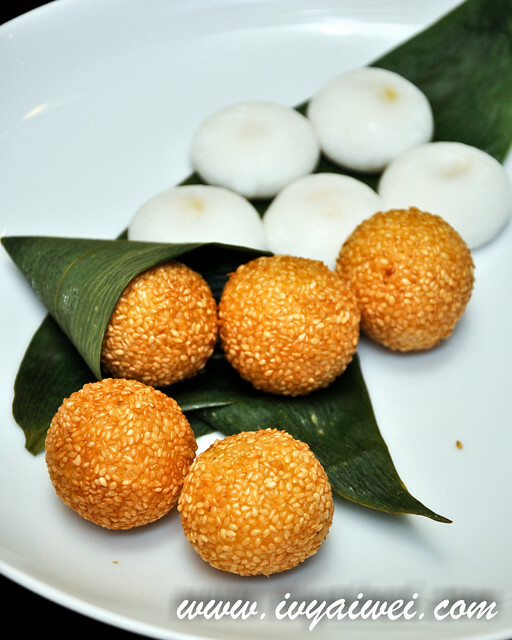 Rich and creamy durian fillings wrapped within the soft, smooth and very thin mochi skin. Sorry, I am not a fan of durian, so I don’t really know how to enjoy it. 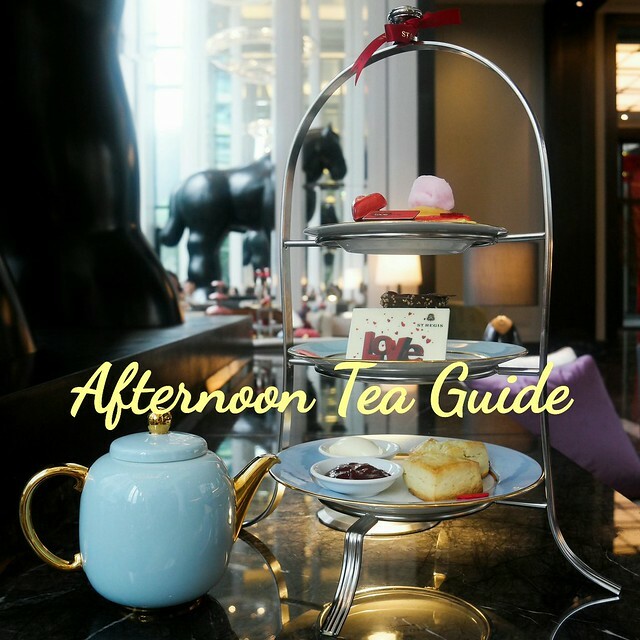 Tai Zi Heen remains open during Lunar New Year’s Eve and throughout the 15 days of the festival from 12 noon to 2:30pm for lunch (Mondays to Fridays), 11:30am to 2:30pm for lunch (Saturdays and Sundays) and 6:30pm to 10:30pm for dinner (Mondays to Sundays). Reservations are highly recommended for the Chinese New Year promotions especially for Reunion Dinners.